This foam tray for Star Wars Rebellion / Rise of the Empire features 23 compartments. 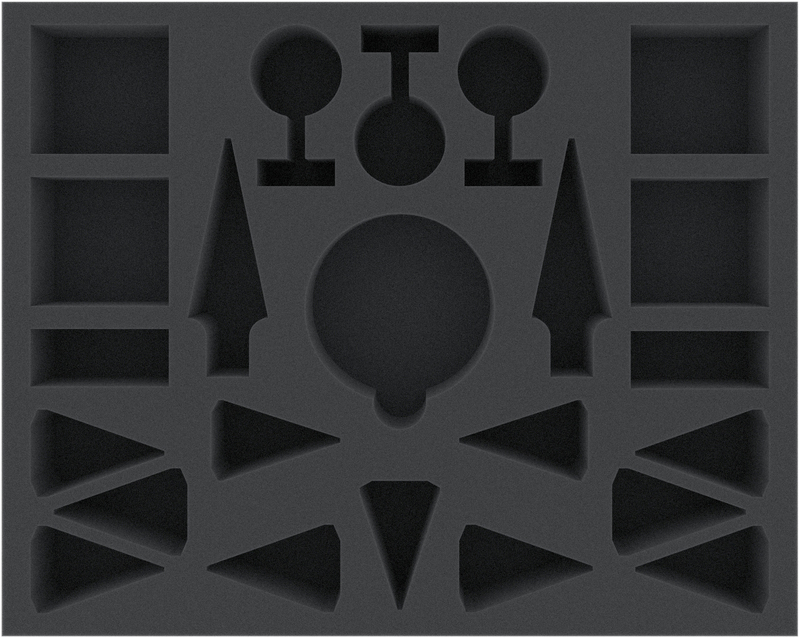 16 compartments are custom cut for Empire miniatures. 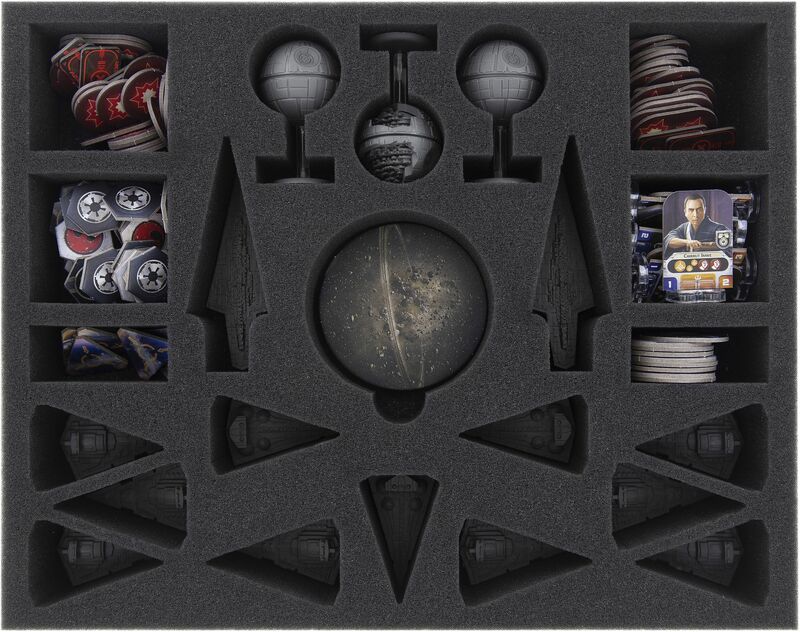 Another 7 compartments will hold additional game material. 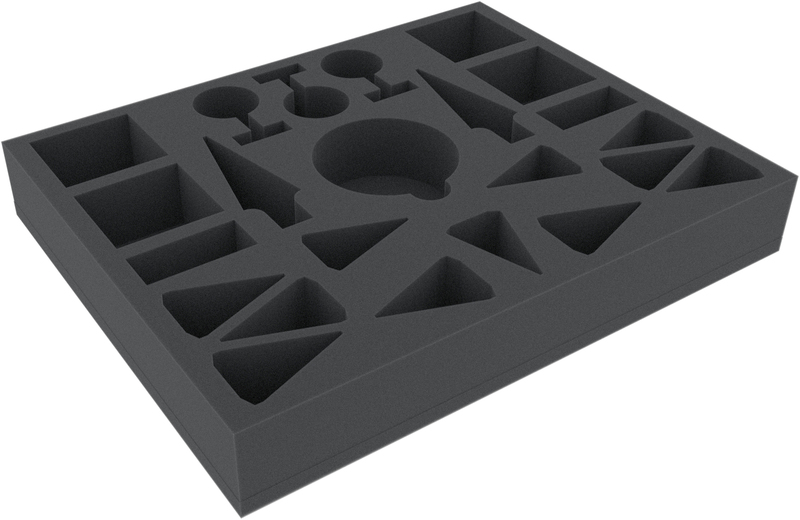 The foam tray has the following dimensions: 345 mm x 275 mm x 30 mm.